From list building to copywriting to measurement, there’s always something new to learn and improve. For marketers and business owners with limited time, it can be difficult to keep up with. This post covers 40 important email marketing tips, along with actionable advice to help you implement them right now. Even if you’re an experienced email marketer, you’re sure to pick up at least a few new tactics. You may have heard some variation of that figure before (different reports suggest a range between 30% to upper 40%). The key takeaway here is that paying attention to subject lines matters, and a little extra effort up front can boost the results of your entire email. Wouldn’t it be great if it were possible to test every subject line before you hit send? With the Email Subject Line Tester, there is. This free tool (which is also built into CoSchedule) makes it easy to optimize subject lines and see how they’ll look in recipient’s inboxes. You can use it free as much as you’d like here. Getting an email from an actual person feels more friendly than one from a brand. So, use an employee’s name in the sender field, rather than your brand name. Most email service providers make it easy to edit the sender field. Consider using the name of the individual sending the email, or the best point of contact should a recipient have questions. People want to feel like they’re more than just a number. So, to further make your emails more personable, include the recipient's name. Sometimes, stats are hard to believe (even if they’re accurate). And you just have to click for confirmation. So, if you have stats or interesting percentages to share, consider including them. No study nor external data point will ever be as meaningful as your own results. One of the best ways to get insight into what works for your audience specifically is to A/B test as much as possible. The curiosity gap is a theory and practice popularized by Upworthy and similar sites that leverages the reader’s curiosity to make them click through from an irresistible headline to the actual content. By creating a curiosity gap, you're teasing your reader with a hint of what's to come, without giving all the answers away. How powerful can leveraging an informational gap be for copywriting? For Copyhackers, powerful enough to drive a 927% traffic increase to a pricing page. Imagine what it can do for your email marketing. Identify the beginning and end of the story in your email. Leave out crucial information in the middle. Now, done poorly, this is an easy recipe for cheesy clickbait. But, it can also be a simple formula for carefully crafted copy that piques curiosity (and gets more clicks on your emails). “Should you use this tactic to achieve [GOAL]”? All of these examples leave something out, that can only be learned by clicking through to read the email. Create curiosity gaps in your email subject lines to get more opens. Preview text appears in some email clients after the subject line. Usually, this space will be filled with copy from the email itself, if no preview text is specified. Leaving it blank is a missed opportunity, though, as it offers a chance to give your subject line more context. The subject line inspires urgency (“last call”), while the preview text offers more specifics (exactly how long the offer will remain, and how much can be saved). Include information about additional content in your email (that isn’t implied by the subject line itself). Ask a question in your subject line, and use the preview text to tease an answer. Get creative with it and see how it impacts opens and clicks. Writing email subject lines? Don't forget to leverage space in the preview text field. Just don’t. It sounds like you're shouting in your reader's face. Impressive. Will you achieve similar results? There’s only one way to find out: experiment! Could emojis help increase your email open rate? Strong copywriting skills are essential for effective email marketing. Here are ten different ways to sharpen yours. Keep sentences under 25 words, and paragraphs under three sentences. These are considered basic best practices for web writing. Aim for 17-24 characters when writing subject lines. There’s no real “best subject line length,” but shorter copy is more likely to avoid getting cut off on mobile devices. Get to the point. Every word and sentence in your email should serve a clear purpose. If it doesn’t, then remove it. Keep your #email marketing copy brief. Including a single call-to-action is a classic piece of email marketing advice. But, what about including that one CTA in multiple locations? If one item doesn’t entice clicks, there’s a chance the next one might. Consider including one #email call-to-action in multiple places. Newsletters and roundups, by their nature, include multiple links to various pieces of interesting content. But, if you’re writing a plain text email, it’s best to direct readers toward one location. Related articles or blog posts. This is an easy way to get extra eyeballs on stuff you want to promote, without distracting from your core call-to-action. Get more email traffic by including additional links in a PS after your signature. Great copy won’t save a crappy offer. If what you’re selling isn’t worth your audience’s time, there’s nothing you can do to salvage success. “Is the content or offer this is promoting high-quality?” This is obviously somewhat subjective, but if you’re sending email simply because you feel like you have to, it may be better to hold off. “Would I even want what I’m selling?” Put yourself in your readers shoes. If you read this email from another brand, would you even remotely care? Be honest. “Is there anything that could make this email more valuable?” An additional PS, a related piece of content, or something else? Never send a marketing #email if you don't have anything valuable to offer. No one wants to listen to a brand talk exclusively about itself. Brands that solve problems for people, though? Those are the ones that get heard. The first example establishes a clear benefit and helps the reader envision themselves spending less time mowing their lawn. The second example isn’t bad, but it puts the company first, and fails to make as strong a connection between product improvement and tangible consumer benefit. Put your reader first when writing #email #marketing copy. This is another classic piece of copywriting advice, and one that directly ties into the previous tip. Generally speaking, customers care more about benefits than features. A sharper mower blade isn’t important because it’s sharper; it’s better because it means the customer can spend less time mowing their lawn. Now, this could have been some superdry copy about GDPR. But, odds are, if GDPR means anything to you, you already know what’s up. So, it instead focuses on how MailChimp made creating GDPR-friendly forms easy enough to do in a few clicks. You’ve sent out an awesome email. Your unsuspecting reader clicks, compelled by your copy, only to find the landing page doesn’t exactly sound like the email. Maybe the offer is different. Or, the theme of the copy isn’t quite aligned. Whatever the case may be, strive to maintain a consistent experience with your copy throughout the entire experience, from first click on a subject line, all the way through to a conversion on your landing page. One consistent experience, from start to finish. That’s what marketers should always aim for. Make sure email copy matches the message on your destination landing page. There’s nothing wrong with using a template as a starting point. But, everyone has seen the same plain text email templates, repeatedly. So, if you’ve seen something similar sent before, it’s time to go back to the drawing board, and come up with something fresh. That’s all there is to this tip. Say no to generic templates. Writing outreach emails? Say no to generic templates. Don't make readers work! 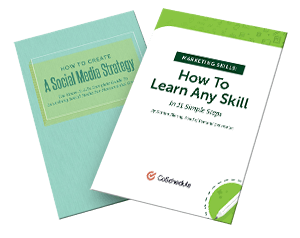 Make your #email #marketing copy skimmable instead. Here’s a roundup of basic (but often overlooked) tips that, while small, add up to delivering a better experience for your subscribers. Once you’ve got people on your list, you probably want to do everything you can to keep them there. So, why make it easy to unsubscribe? Because it creates a more positive experience. Someone might be interested in your brand, but just doesn’t want your emails anymore. If its tough to get off your list, that positive brand sentiment can quickly evaporate, to the extent they choose a competitor instead. In this example, the unsubscribe link is subtle and unobtrusive, yet easy to find for anyone looking for it. Making email unsubscribes easy creates a more positive experience with your brand. None of those people will understand why they’re getting email from a company that may or may not have ever heard about. A lot of those people are liable to unsubscribe and they won’t convert anyway. Worse, you could violate the CAN-SPAM Act. This could be extremely bad news for your business. Build your list fair and square, and avoid paying for lists. Emails that don’t render properly on mobile devices may get deleted in under three seconds. At least 50% of email opens happen on mobile devices (an exact number is tough to pin down, but that’s a lot). Mobile users check email 3X more frequently than desktop users. 52% are less likely to buy from a company if their mobile experience is poor. What do all these numbers mean? In short, you need to provide subscribers with a strong mobile email experience. At a basic level, make sure you’re using responsive templates for designed emails (most modern email service providers should make this easy), and easily skimmable text for plain-text emails. If you’re working with a developer building HTML emails, explain the importance of optimizing for mobile devices (if they’re not already on board). Use the stats above to build your case. Are your marketing #emails mobile-friendly? Helping the visually impaired understand what your images are. Providing context for images in case they can’t load. Are you sending your #marketing #emails at the best times? Calendars and planning tools help build consistency. Consistency helps deliver results. Instead of slipping on your sending schedule, get it organized. If you haven’t downloaded the email calendar included in this post, grab it for free. Consistency is key to success. But, that doesn’t mean you should stick to doing things exactly the same way you always have, indefinitely. Smart marketers optimize their approach based on performance data over time. Do open rates appear to drop off once a certain number of emails are sent? Are you getting a high number of complaints about excessive email (and do those complaints correlate with a drop in opens)? Gather this data using the in-app analytics in your email service provider. Then, adjust your schedule accordingly. Are you optimizing your #email sending frequency based on data and performance? Whitelisting is a simple process email recipients can use to make sure messages from a certain sender go straight into their inbox (rather than a SPAM folder). “Many email senders link to whitelist instructions from their email campaigns, to ensure that their campaigns are delivered straight to the inbox for as many recipients as possible. A common approach is to add a short message to your email content, like, “To keep receiving emails from us, please add us to your address book”. Head here to find a free code snippet you can use to drop a link like this in your email. The subscribers on your email list may have unique interests or different backgrounds. Sending the same messages to different groups of people might not always get similar results from each one. For example, if you run an auto parts ecommerce site, customers interested in Honda Civic accessories might not be interested in information about pickup trucks. Active Campaign: How Do I Create a Segment of a List? Without an email list, you’ll have no one to market toward. 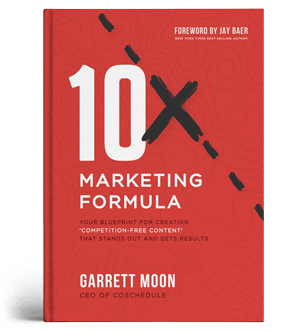 Use these 10 tips to build up your list and get more leads into the funnel. Content upgrades are downloadable freebies gated behind an email opt-in form. To get these configured on your blog, website, or landing pages, you may need to get some developer help. Ivan Kreimer wrote a great guide on creating content upgrades here. In the struggle to build an email list, content upgrades are your secret weapon. If you don’t have the capability to set this up yourself, work with a developer to add an email signup CTA somewhere on your blog or website homepage. Another note to make your sticky CTAs more effective: include some social proof. Mentioning your subscriber count (once you have some subscribers) shows potential leads that you’re offering something of value. If you email folks around your industry with your own work email account, drop a link in your signature to get your company’s email newsletters, too. With a physical entry form (for brick-and-mortar stores). An online content with a signup landing page. Running a worthwhile contest can take a lot of effort. But, it’s worth it to build up a highly engaged email list. Fortunately, Matthew Barby has created an incredibly in-depth guide here. If people are following you on social media, they’re obviously interested in your brand. So, why not get them onto your email list? Run a creative social campaign directing to your email signup page. If you use a single opt-in process, email subscribers will be added to your list as soon as they complete a form. However, if you use a double opt-in process, subscribers will need to click a confirmation link on an email they’ll receive. The second option helps cut down on junk signups (if someone is going to bother to click the confirmation link, you know they really want to be on your list). But, if the confirmation email goes into a SPAM folder, you could miss out on subscribers. You can then configure your video so viewers need to enter an email address to watch. Here are some exit intent popup examples created with OptinMonster. CoSchedule’s Head of Demand Generation, Nathan Ellering, says you can expect a footer link to contribute around 1% to your overall list growth. But, they’re also extremely easy to add, and every little bit helps. Ask your developer if they can throw in a footer link to your email signup page. Do You Have Any Tips You’d Add? This is a robust list of email marketing tips and tactics, but there are plenty more that could have been added. Do you have any techniques you think should have been mentioned? Drop a comment below.